Chamberlain /’tʃeɪmbɘlɪn/n. 1 Officer managing a royal or noble household. 2 treasurer of a corporation etc. (Germanic: related to CHAMBER) O.E.D. Chamberlain Wealth Management is an independent fee-based Wealth Management practice. We believe that our clients should be ultimately in control of their finances, which is why we operate on an advisory rather than discretionary management basis. We believe that to devise the best possible investment strategy the client must understand and be involved with all stages of the planning process. It necessarily follows that our recommendations for one client are unlikely to be identical to those for another. 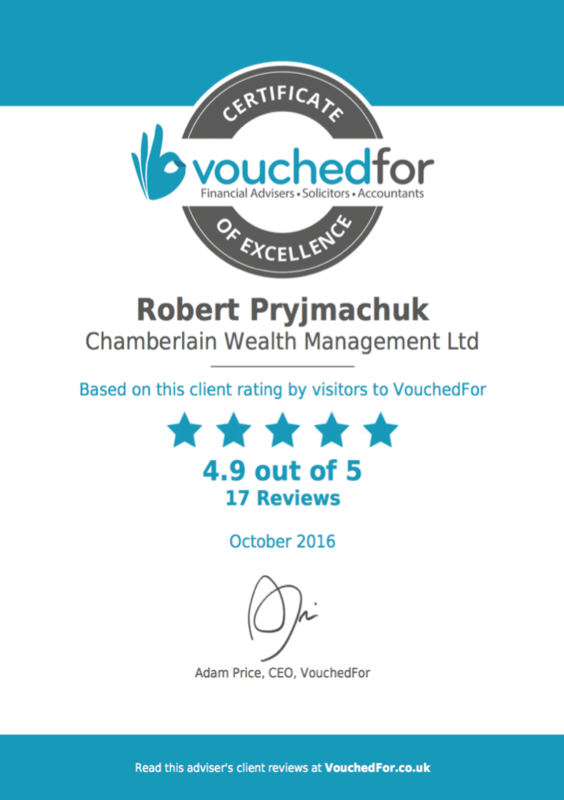 Chamberlain are long standing advocates of the principle that the first goal of wealth management is wealth preservation. We aim to ensure that your accumulated wealth provides for you and the people around you, now and in the future. Chamberlain Wealth Management Ltd is authorised and regulated by the Financial Conduct Authority and is entered on the FCA register (www.fca.org.uk/register) under reference 530155.